VIPAccessEXCLUSIVE: Jake Short Exclusive Interview With Alexisjoyvipaccess At DigiFest LA! Whether it’s portraying the role of a normal high school student with ‘Advanced Natural Talent’ or a teenage boy who works at a hospital just for superheroes – the incredibly talented Jake Short always leaves fans in awe with his magnificent works and projects. Jake Short instantly became a fan-favorite by playing the role of ‘Fletcher Quimby’ in Disney Channel’s highly-acclaimed, hit show A.N.T. Farm. With so many wonderful projects up his sleeve, Jake Short continues to excite his fans in his latest TV show, Disney XD’s Mighty Med where he plays ‘Oliver’. Already, Mighty Med has been praised by viewers all over and is a show viewers of all ages enjoy! 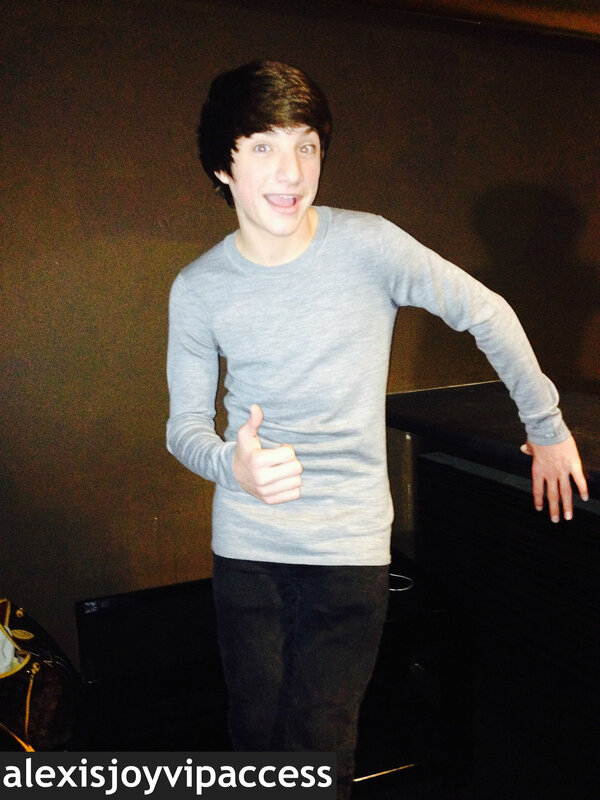 Acting or singing, Jake Short does an extraordinary job in everything he works on! Jake Short is truly one gifted actor / singer and with Jake Short’s immense talent, there is no doubt that Jake Short will continue to have a successful career in the entertainment world! I, Alexisjoyvipaccess had a marvelous time interviewing the outstanding Jake Short at the incredible *event of the year* – DigiFest LA on December 14, 2013 at the Hollywood Palladium. Jake Short dishes exclusively to Alexisjoyvipaccess all about what it’s like on set of Mighty Med, what fans can expect from his character ‘Oliver’ in future episodes of Mighty Med, and so much more in our VIPAccessEXCLUSIVE interview! Jake Short even spills on some of his holiday traditions only in our VIPAccessEXCLUSIVE interview below! Thanks for the wonderful interview, Jake! Check out my VIPAccessEXCLUSIVE interview with the excellent Jake Short below! Previous VIPAccessEXCLUSIVE: Rebecca Black Exclusive Interview With Alexisjoyvipaccess At DigiFest LA! Next VIPAccessEXCLUSIVE: Madison Pettis Exclusive Interview With Alexisjoyvipaccess At DigiFest LA!